Situated in a Country Club setting on an inland Golf course setting. This lakefront residence departed the “club” look so many times evolved by speculative residences. This custom residence reflects the client’s wishes for a truly European experience on this estate sized property. 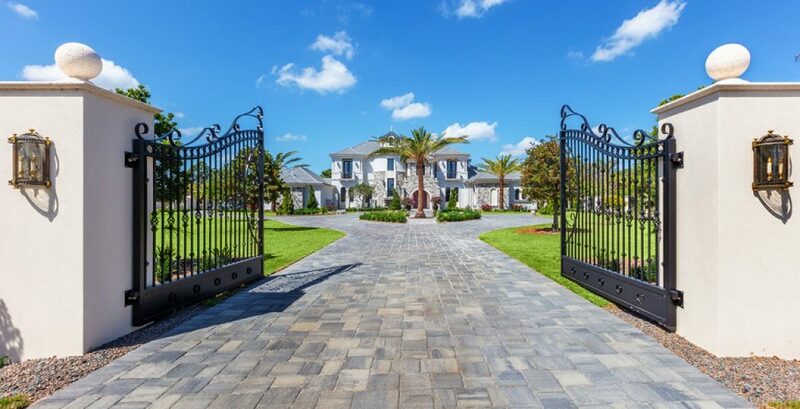 The elegant entry gates and drive suggest the arrival experience of a European estate of significant maturity. 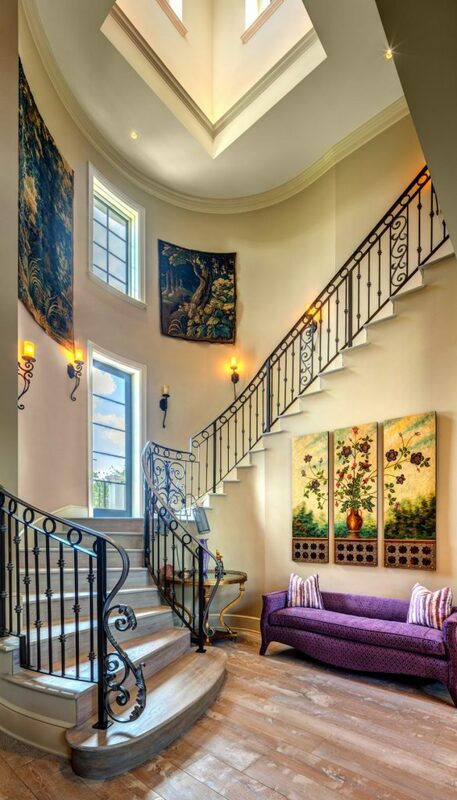 A grand dormer lit foyer immediately embraces the scale and detailing of the entire home. Family gathering areas are abundant but the home also provides for personal relaxing and reading areas.